The culmination of our most complex project. On Monday 17 September, the £50 million Beecroft Building was officially opened. This world class building was designed for the University of Oxford’s Physics Department, and will support its pioneering work developing quantum computers. Tim Berners-Lee joined Adrian Beecroft and Professor Louise Richardson for the opening ceremony, and Professor John Wheater, Head of Physics, gave a presentation on the building and the importance of having a world-class facility to attract the very best scientists across the globe. We were praised for our involvement in the project, in particular, the design of the close control system and the acoustic performance of the atrium. 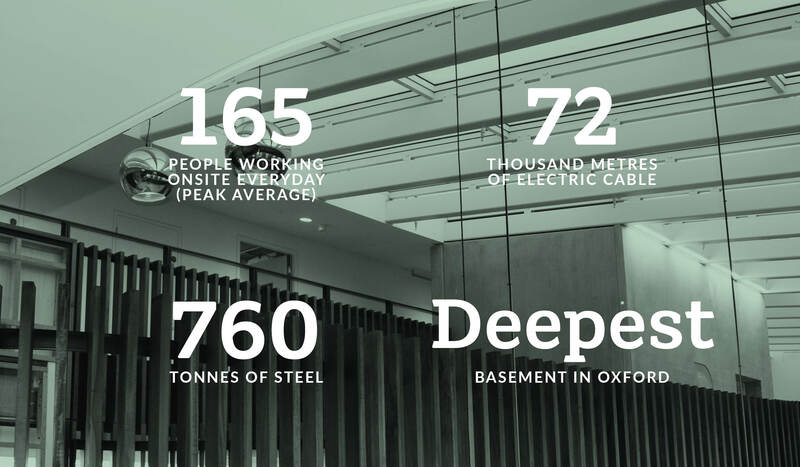 The Beecroft Building is one of the most complex projects we’ve ever undertaken. The project involved close collaboration with architect Hawkins\Brown, MEP contractor Crown House, and the University of Oxford – working with some of the brightest people on the planet. Seeing our people really rise to the challenge was so rewarding. The team recently visited the site to see how the final stages of the build were progressing. The project had a 48-week fit-out schedule, which is incredibly quick for such a complex facility, but everything was on track. 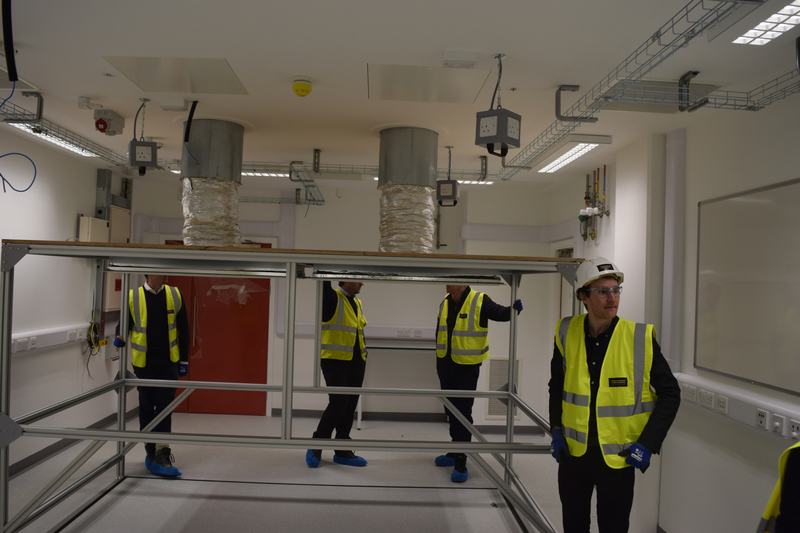 The team explored the entire building – from the basement plant spaces that house vast high-efficiency shock absorbers, right through to the close-control laboratories and the above-ground collaborative working spaces. Following the handover of the building, the team will undertake a period of validation. Going above and beyond the scope of commissioning, they will be testing the lab’s in-use heat demand. This involves filling the space with electric heaters to simulate the temperature of a working environment, and therefore put the newly installed services through their paces.